Treat yourself to a well deserved moment of chocolate pleasure. Perfect for an indulgent chocolate treat at work, home or on the go. Pleasure worth sharing. Suitable for vegetarians. Kosher - KLBD. 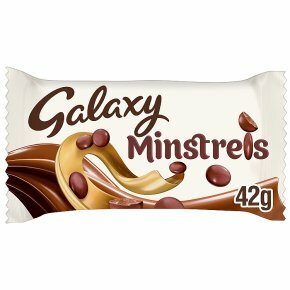 Smooth and creamy Galaxy chocolate captured in crispy chocolate shells, pleasure worth sharing.